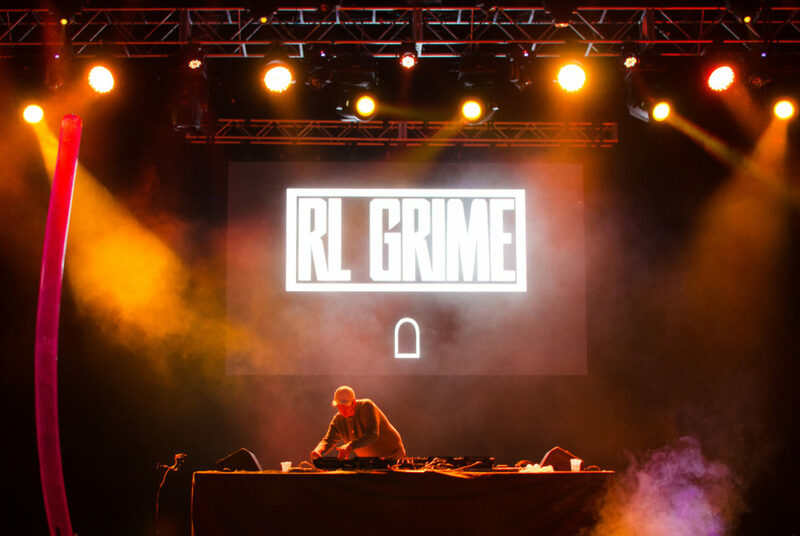 DJ RL Grime performs at Trillectro Festival in 2015. Trillectro Festival will meld local acts with hip-hop headliners Saturday as the festival inches out of infancy and becomes a staple in the District. Since the one-day festival’s inception in 2012, the three founders of Trillectro have cultivated a lineup that blends the different energy of live music and DJ sets. Since hosting the first festival at an intimate space in Southeast D.C., the group has acquired major sponsorships with Pepsi and Heineken and will host the festival at its largest space to date, Merriweather Post Pavilion, for the second time this weekend. While featuring larger acts from hip-hop like 2 Chainz and Young Thug, and DJ sets from RL Grime catering to the crowd, the festival also leaves space for brand new musicians to surprise new fans with memorable sets. Tickets range from $79 for general admission lawn seats, $99 for first-come, first-served pavilion seats and $119 for standing room tickets in front of the stage. Quinn Coleman, one of Trillectro’s founders, said he started the festival when he and two friends were in their early 20s. For the first five years of the festival, he said they were constantly hustling to produce the best show possible. So when the venue in Columbia, Md. was undergoing renovations last year, he said they took the gap year to refocus. “We had just been ripping and running, throwing five festivals at that point and it’s really difficult to get a lens on the entire music landscape,” he said. The founders they knew early on that leaving D.C. after hosting their initial festivals in Southeast D.C. and at RFK Stadium would be alienating to some potential attendees, he said. To alleviate travel troubles for music lovers in the District, Coleman said the festival will host shuttle buses for $35 that can pick you up from Dupont Circle, Union Station or Georgetown. While other music festivals have been criticized for lacking diversity on their rosters, Coleman said the Trillectro lineup has tried to stay ahead of the curve. In past lineups, the festival has highlighted Chance the Rapper and Travis Scott in the years before they blew up as icons of contemporary music. This year, it has numerous acts that are women and people of color and a female headliner, R&B singer SZA, whose anticipated performance comes after canceling summer tour dates and going on hiatus while her vocals recovered. Modi Oyewole, another one of the festival’s founders, said he was particularly excited for another female artist in the lineup – hip-hop heavyweight Rico Nasty. Along with her local roots to the DMV, Oyewole said she brings a feisty theatricality to her set, unlike some female rappers who may rely on appearances to sell music. Rico Nasty isn’t the only act that will bring their local roots to the stage Saturday. In fact, the entire lower third of acts on the roster are based or originated in the D.C. area, including rapper Innanet James and Chicken and Mumbo Sauce, aptly named after the District’s staple condiment. The exception to these relatively unknown acts is up-and-comer Sheck Wes, a protege of Kanye West and Travis Scott who is sure to have “anthems” in the weeks to come, Oyewole said.